Here are our favorite interior shops in Helsinki. All of them are unique in their own way and have extremely nice and helpful staff. Go have a look! Casuarina on Fredrikinkatu 30 is an old favorite ( dates back to 1998 ) that excels year after year. The staff is so nice, helpful and extremely experienced. Casuarina combines Eastern, Western and modern interior perfectly. This is a place to be inspired in! 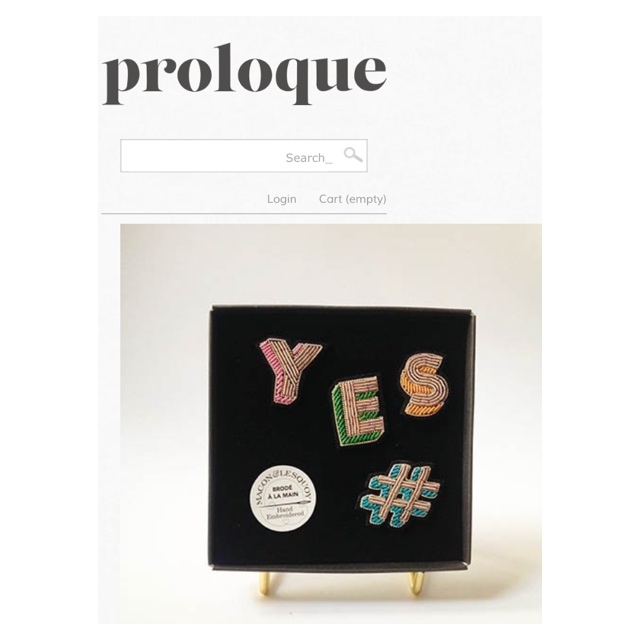 Proloque on Uudenmaankatu 27 has some very unique items that you won’t find anywhere else. You can find everything from Ottoman Hamam towels to Fornasetti candles to Astier de Vilatte porcelain here. Goes without saying that Nora Hellberg who usually stands in the store is just lovely. The store is run by her and Elsa Vilén. We love your style! 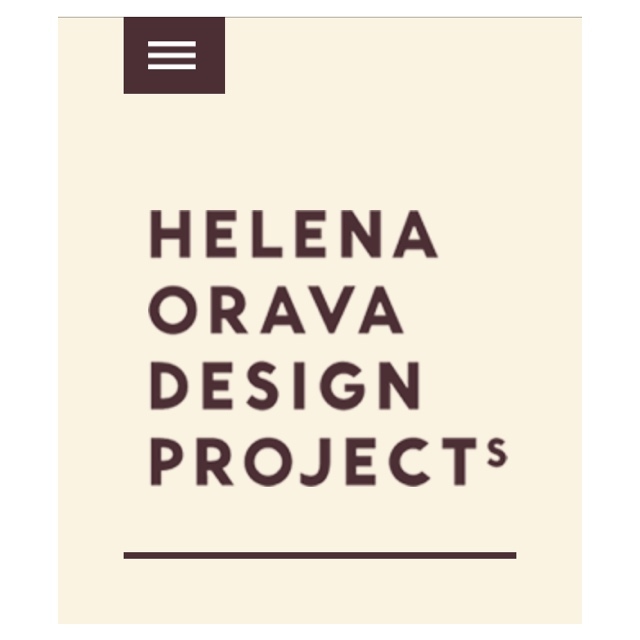 Helena Orava Design Projects on Tehtaankatu 5 has the most exquisite items you can imagine. 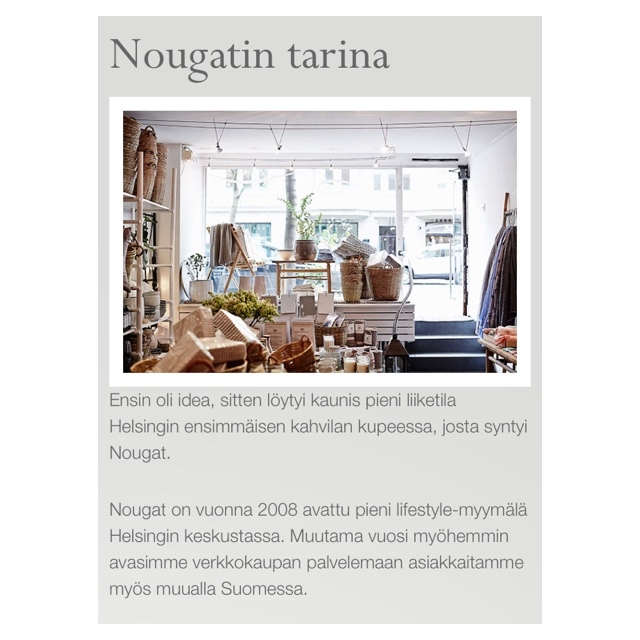 Helena Orava is a big believer in good quality and this is something that really shines through in her store. She has great taste and is so very charming, there’s not one item in her shop that isn’t absolute perfection. Store is open by appointment although you usually find her here from monday-friday. This is not a store you should miss! Republic of Fritz Hansen on Yrjönkatu 12-14 is a stunning space where the mind can rest. Everything here is well matched and has a beautiful colour palette. 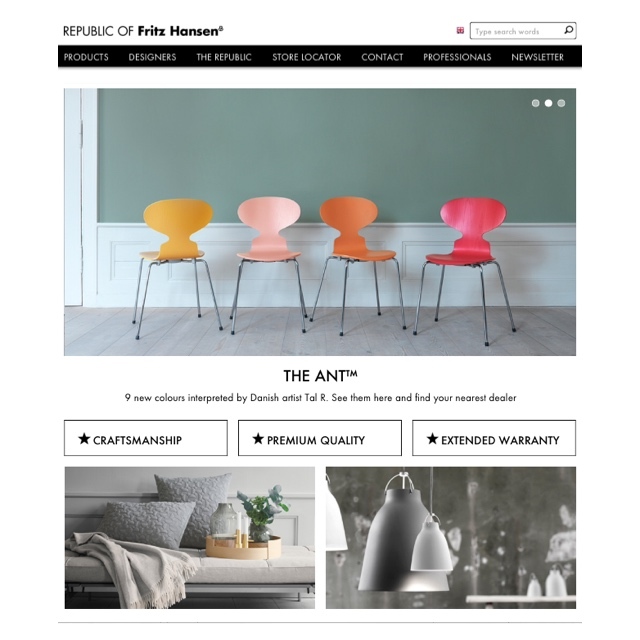 Fritz Hansen is known for their impeccable quality and some very known design classics. It’s hard leaving this store without purchasing something. Nougat on Bulevardi 11 is another lovely interior /lifestyle shop that sells everything from clothes to accessories to furniture, it’s almost impossible leaving this store empty handed. 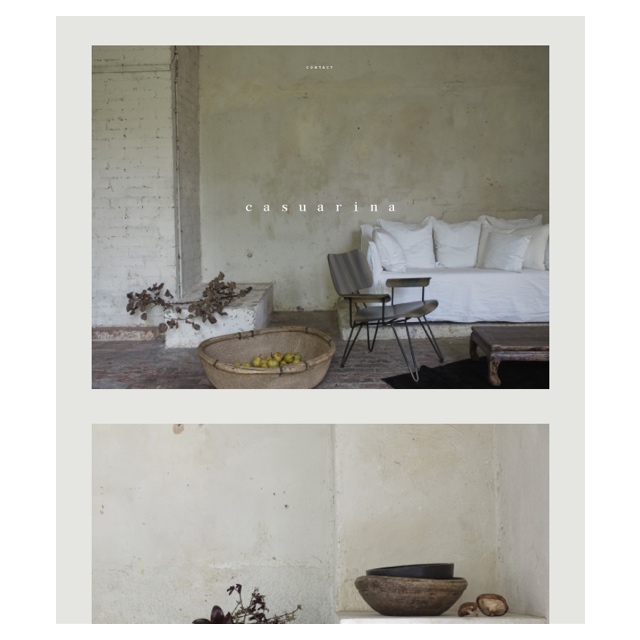 This is our go-to store for anything and EVERYTHING for the country house. They also have the best paper napkins in town. Be sure not to miss this pearl! Formverk on Annankatu 5 and 23 are just a joy. The staff is so nice and personal that you feel right at home. A place where you almost always end up staying longer than planned because you get caught up discussing whatnots with the lovely personnel. They also have a really large selections of brands and basically order anything for you if you ask them nicely. Love these guys and their stores. 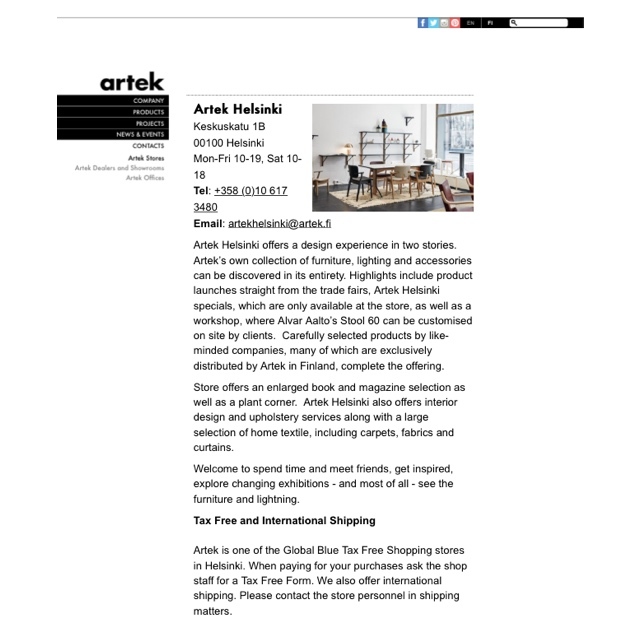 Artek on Keskuskatu 1 B is an overwhelming space, it’s that beautiful. I could spend hours here, not only because of their wide selection of modern classics that you can admire one after the other but also because of the great staff. These people REALLY make the store what it is. You know who you are and without you I would have been in despair so many times. They’re incredibly competent and hold so much information you wouldn’t even believe. This is the GO-TO place for everyone but especially for you who have a large interest for design. Absolute love! Zarro on Fredrikinkatu 37 is the trend store nr 1 but an oldie but goldie. 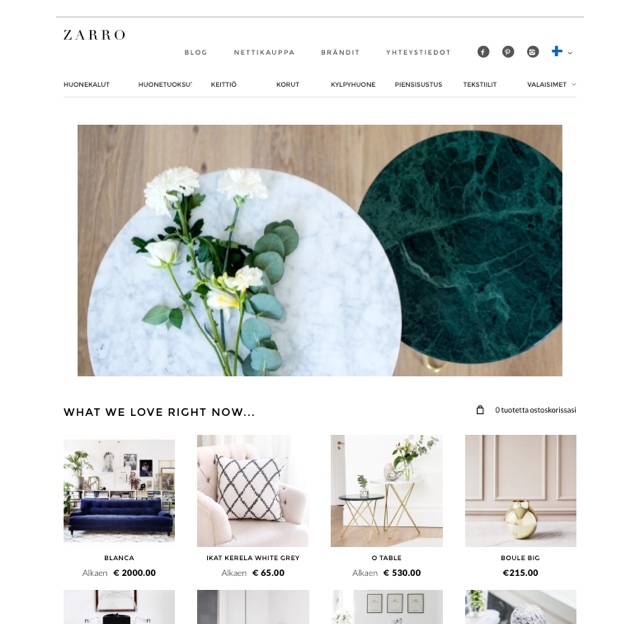 If you’re dying for something seen in a international magazine or at Milan Design Week Zarro is most likely the store that will have it soon enough. 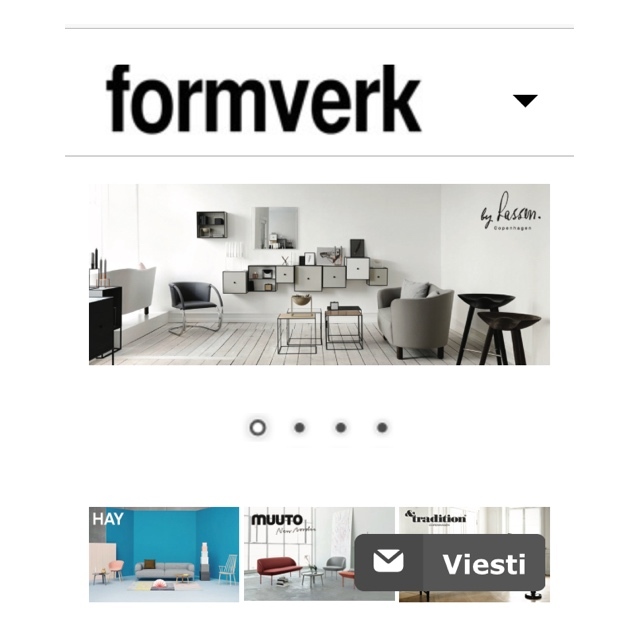 I love the fact that we have shops in Helsinki that reacts this fast and gets that nobody wants yesterdays news tomorrow. Meaning that if you’re going to sell trends you better sell them while their still hot.